As I think back over the past 4 years about the milestones we’ve marked with our Little G, I can’t help but feel overwhelmingly proud to add another to the list. At 4 years old, our toddler is riding a pedal bike on his own. It started with the Giant researching kid bikes last summer. 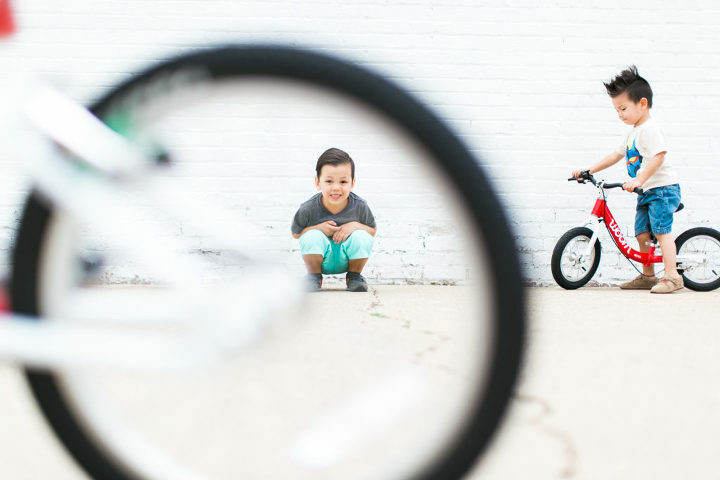 After a couple of hours visiting twowheelingtots.com, he quickly learned that training wheels were a thing of the past, and balance bikes were the fastest way to get them off and riding confidently. The weight of the bike and seating posture are critical. So we bought the lightest and easiest to use balance bike we could find. After a week, he had it figured out and was tearing down the sidewalk. By the end of the summer, he had the concept of balancing on two wheels mastered, along with turning and stopping with the handbrake. Fast forward to today. We decided we would get a pedal bike this spring as Little G had outgrown the balance bike. There are a lot of bikes on the market but the same rules apply when selecting one – get the lightest one with good seating posture. This pretty much rules out anything from a big box store. So again Giant did research and settled on the Woom3 from Woombikes USA’s online store. We also took this opportunity to try the Woom1 balance bike for Wee G since he’s a bit younger and smaller at 2 years old. When the bikes arrived, we were just as excited as the kids were. They were wrapped extremely well and were fully assembled, thankfully. The Giant just had to adjust the handlebars and seat heights. He was impressed with the quality, which we were happy about since I admit, these bikes are not inexpensive. But in this case, you get what you pay for. 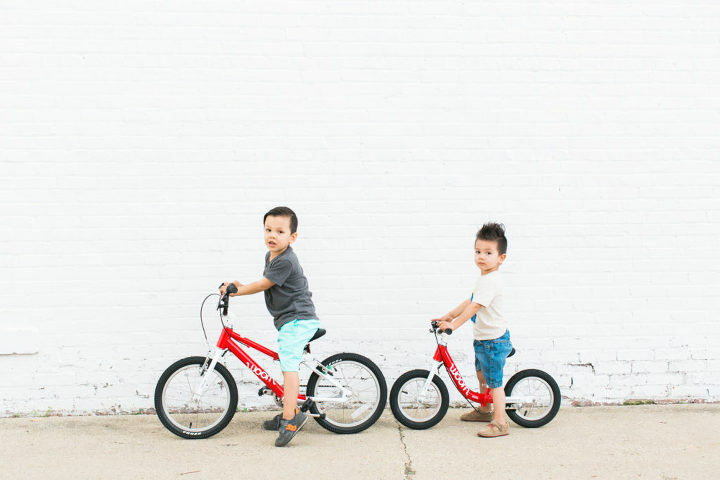 Woom seriously designed this bike around toddlers – big handlebar grips, easy-to-reach handbrakes for little hands, and recessed hardware throughout to avoid snags on clothing. It even has a steering angle limiter to prevent the handle bars from swinging around backwards. Little G’s favorite part? The bell and kickstand of course. It took Lil G all of 5 minutes to get the hang of the pedals. Because he already established good balance with his previous bike, adding pedals to the mix wasn’t difficult. Little G now begs to hop on his new Woom3 pedal bike whenever the weather is nice. He is just as proud of himself as we are of him when he rides it. And of course, Little Wee G loves the Woom1 since he gets to ride with his big brother on matching bikes. Be sure to scroll to the very bottom of this page to read about some exciting news!!! TWO exciting news items. First, I’m doing a giveaway for the Woom Bike Carrier! Details on that giveaway will be up on the blog tomorrow. SECOND, a hot deal just for my followers. 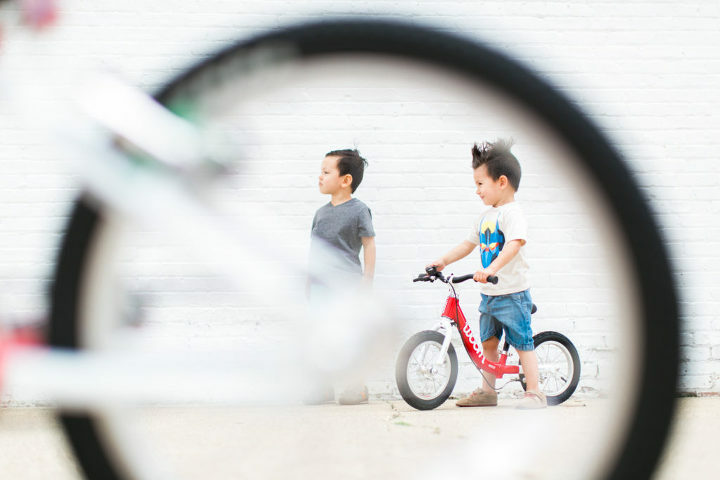 If you place your Woom Bikes order using my code: MelissaDiep, you’ll receive FREE shipping! Woo hoo!! I don’t know about you but I hate paying for shipping! KatWalkSF - These bikes are adorable! You boys are too cute too! Diane - Great bikes! the boys look so happy and cute too!